Paul Ryan is a painter and art critic living and working in Staunton, Virginia and Elsah, Illinois. 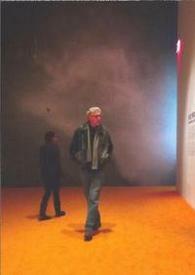 Since 1983 he has shown his work in numerous solo and group exhibitions in a variety of venues, including Reynolds Gallery (Richmond, VA), Marion Gallery, Rockefeller Arts Center at SUNY Fredonia (Fredonia, New York), 1708 Gallery (Richmond, VA), Hartell Gallery at Cornell University (Ithaca, NY), The McLean Project for the Arts (McLean, VA), The University Gallery at The University of South Carolina (Spartanburg, SC), Fine Arts Building Gallery at Virginia Commonwealth University (Richmond, VA), The Virginia Museum of Fine Arts (Richmond, VA), Leeds Gallery at Earlham College (Richmond, Indiana), the Armory Gallery at Virginia Tech (Blacksburg, VA), Space 301 (Mobile, Alabama), and the Taubman Museum of Art (Roanoke, VA), among others. He is Professor of Art at Principia College. Previously, he taught studio art and courses on contemporary art and art criticism in the Department of Art and Art History at Mary Baldwin University from 1992 - 2016. He is Professor Emeritus of Art at the university. He also taught critical theory in the MFA program of the Department of Painting and Printmaking in the School of the Arts at Virginia Commonwealth University from 2005 - 2016. He has been a contributing editor for Art Papers Magazine since 1990. Since 1989 his writing has appeared in publications such as Art Papers Magazine, Sculpture Magazine, ArtLies, and Art in America. He is represented by Reynolds Gallery in Richmond, Virginia, and his paintings are in numerous public, corporate, and private collections. Ryan is the recipient of Virginia Museum of Fine Arts professional fellowships in painting in 2009-10 and in 2016-17.